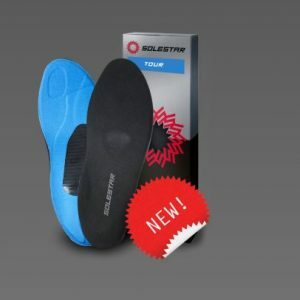 SOLESTAR has established itself in the professional cycling industry in only a few short years with its high performance cycling shoe insoles. Today, the company is the supplier of choice for many professional cyclists. 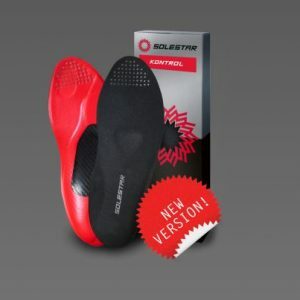 What makes the SOLESTAR cycling insoles so innovative lies in the patented Stabilization-Delta. Behind the idea to an insole concept specifically designed for cycling, stands the German sports scientist Oliver Elsenbach. Since 2003 he has been advising professional cyclists in areas of training control, seat position measurement, and orthopedic insole supply. Through his specialized work, he recognized the potential for orthopedic insoles that are specially customized to motion sequence for performance optimization in cycling. Elsenbach then worked closely and carefully with professional cyclists like Gerald Ciolek, Christian Knees, and André Greipel over a six-year period, coordinating several practical test series on a new insole concept for professional cyclists. 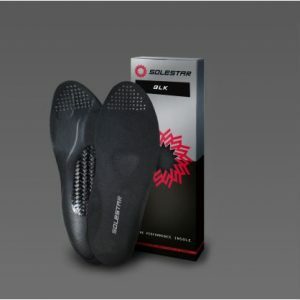 This work resulted in the development of SOLESTAR cycling insoles. In 2010 the company SOLESTAR GmbH was founded with its headquarters in Berlin. A subsidiary in Cologne focuses on athlete support and product development. SOLESTAR is widely established in professional cycling and sells in more than 30 countries worldwide. When using SOLESTAR BLK, you never compromise with the material nor the performance. SOLESTAR BLK provides you with 100% power on the pedal: with a stiff, lightweight core made of carbon. The SOLESTAR BLK has been specifically designed for the requirements in competitive cycling and triathlon. When SOLESTAR KONTROL is in your shoe, you immediately notice the increased stability and comfort. The load-stable glass fiber core gives you a strong foothold and the necessary support. With SOLESTAR KONTROL your foot, shoe and pedal become one. SOLESTAR TOUR insoles are your ultimate support when you explore the world on your bike. They offer great comfort and stability for any cycling activity. The flexible glass fiber core and comfortable cushioning material support you on your bike and allow you to walk in any shoe.